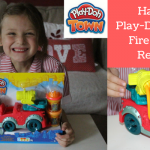 As part of our role of blog testers for the Hasbro Toy Tribe, we were so lucky to receive another fantastic toy to review. 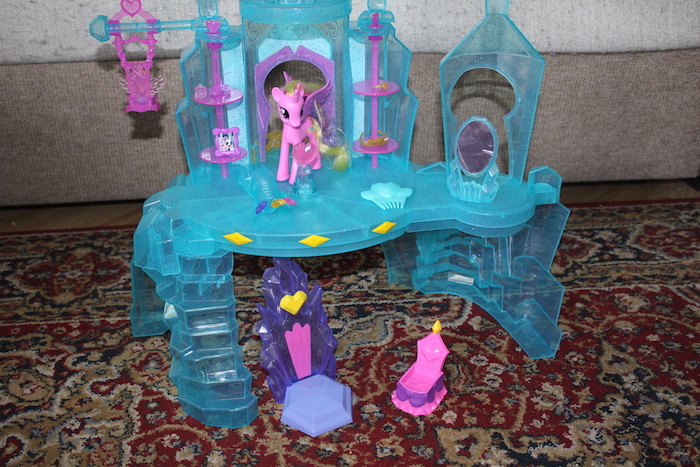 This time we received the My Little Pony Equestria Castle. 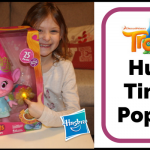 Bella is already familiar with My Little Pony as she already had some of the toys at home, so she was very happy to be able to test some of their latest collection. 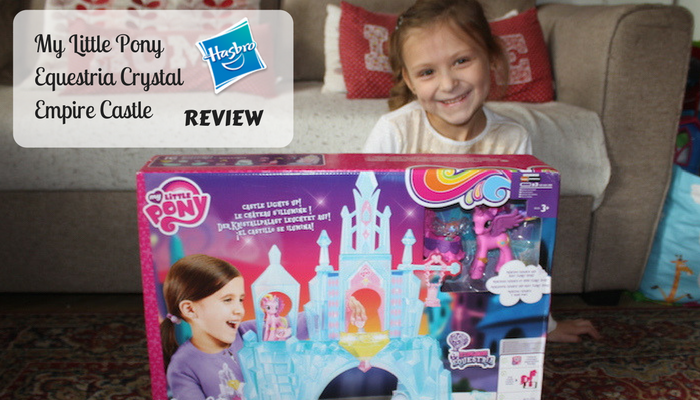 We reviewed not long ago My Little Pony: Friendship is Magic and Bella loved it so she was super excited about this MLP Castle! 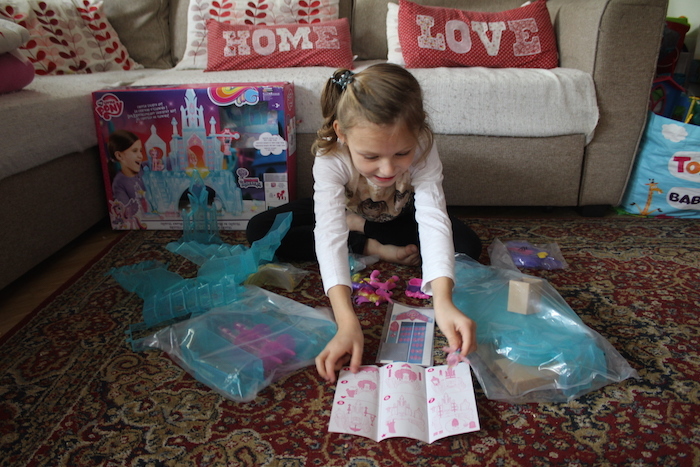 When we received the packaged, Bella had a huge smile as it was very big! 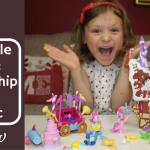 She knew this was going to be a great castle to play with and wanted to open it straight away! Bless her! 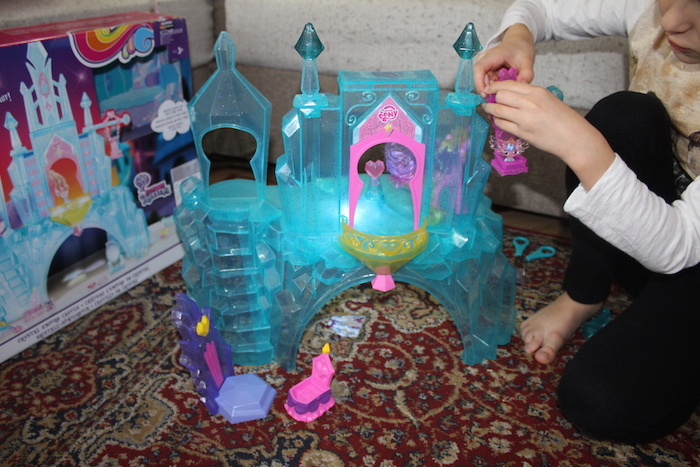 The box contained lots of crystal blue plastic pieces which you need in order to build the castle. It is not difficult and didn’t take long to do. You only need to follow the instructions. Once we had finished building the castle it really looked amazing! 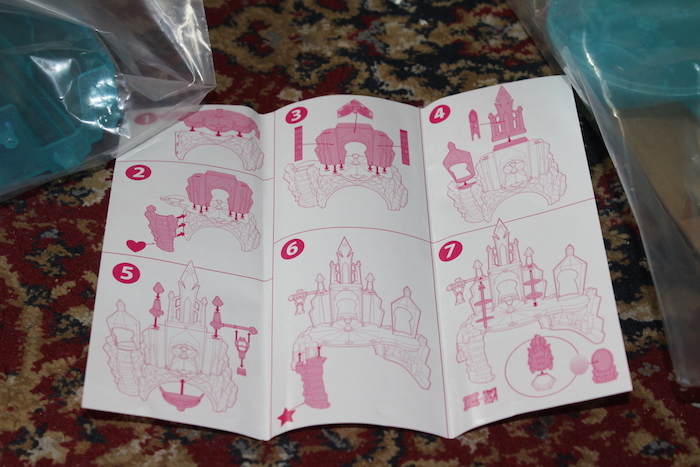 You will need 3xAAA batteries to put into the base which make the castle light up. 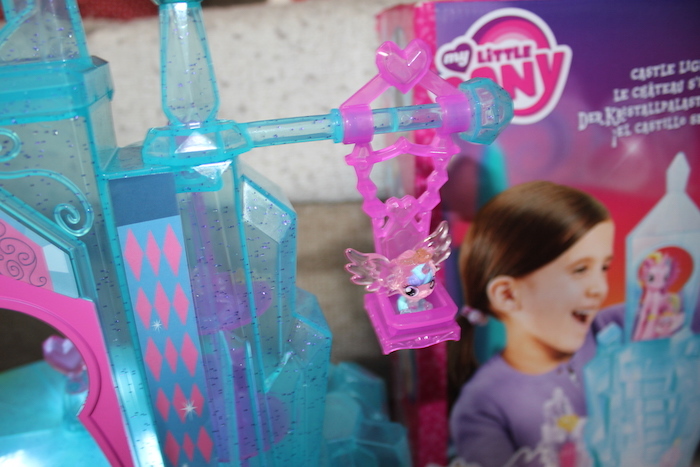 The light feature rotates making the lights flashing and reflects 3 cutie marks at the press of a heart-shaped button. 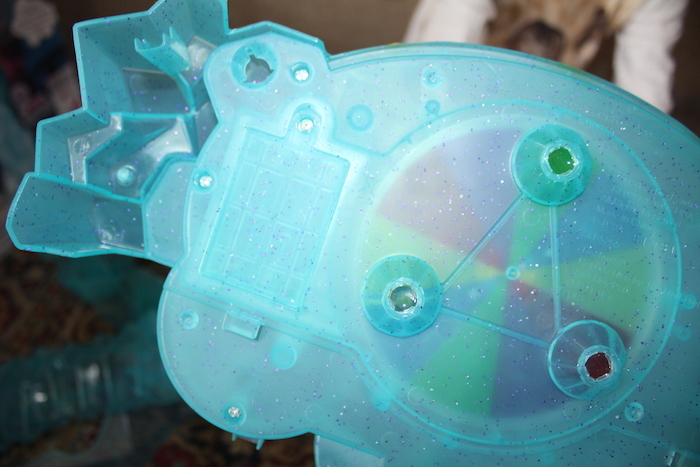 It really looks beautiful and feels like a special DJ Disco party for the ponies, LOL! Bella absolutely loved this feature as it looks really magical! Sienna loved pressing the button over and over again too. It was very entertainment for them. 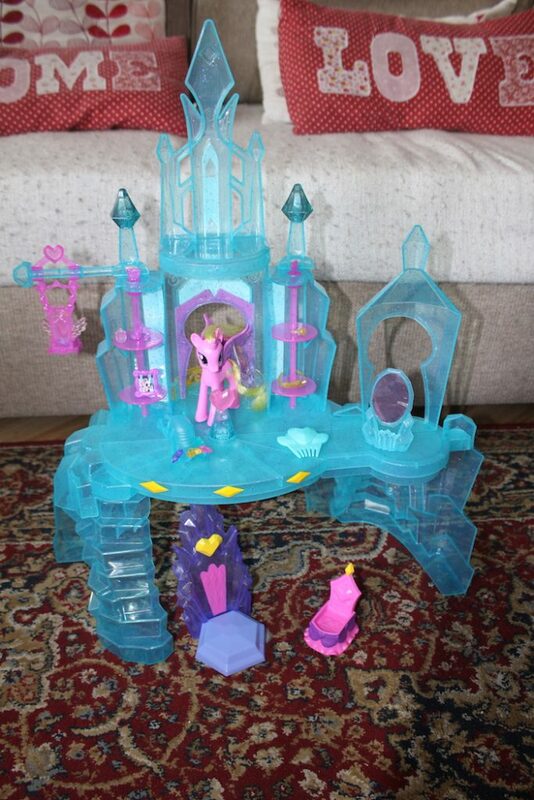 This playset features 2 staircases, a baby swing, and 2 closets that have spinning shelves that can spin and a swing for the Baby Flurry Heart figure. 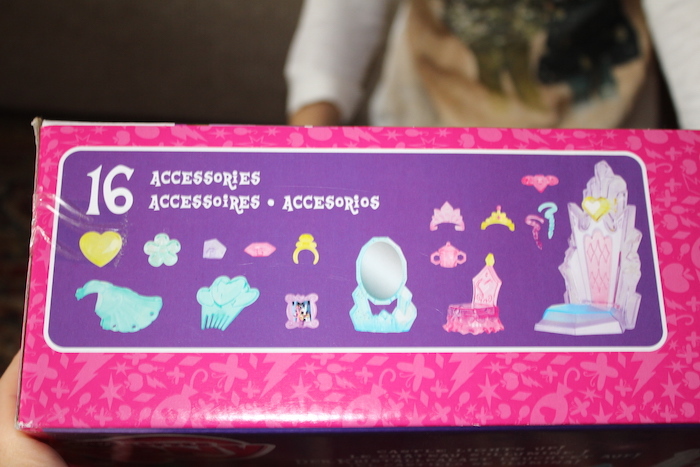 It also comes with 16 accessories such as a dress, throne, crystal vanity, cradle, and jewels. 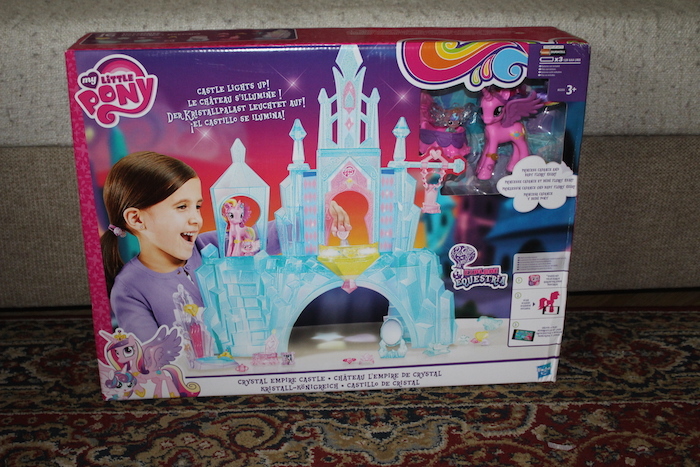 Princess Cadence comes with a sparkly coat that matches the castle. One of the things that my girls loved doing was playing with baby Flurry Heart and playing with the swing. I’m really impressed with the quality of this castle. You could really tell it has been made well and looks amazing. Another thing I noticed was that it is very light which is great when carrying it around the house. Bella likes to carry it about so she can play around the house wherever she wants to. 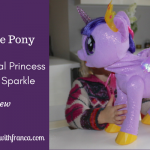 Do your kids like My Little Pony? 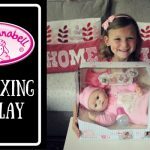 What do you think of this playset? What is your favourite feature? *Disclaimer: I received this playset as a member of Hasbro’s Toy Tribe in exchange for a blog post. All opinions and thoughts are my own. This post contains affiliate links.